Are you having a new home constructed? 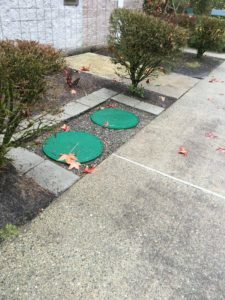 Do you have a commercial property that is not connected to the city sewer system? Do you need the services of a competent septic company that you can rely on for expert new septic system design and installation? You have come to the right place! 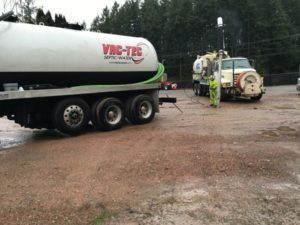 VAC-TEC LLC is the leading expert for new septic system installations in Spanaway, WA and its surrounding areas. Choosing a new septic system of the right size and quality is critical for ensuring hassle-free waste disposal on any property. 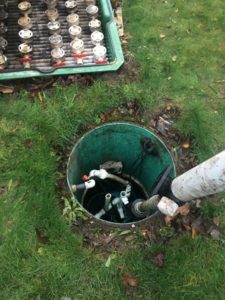 However, making the right decisions for new septic system installation on your Spanaway property can be difficult without knowledgeable experts like us to guide you. Call us today to discuss your new septic system requirements. Our company also handles septic tank installation. Typically installed underground, a septic tank is the reservoir where all waste from the property accumulates. A septic tank of the right design and size is crucial for a high-performing septic system. We understand this and help our customers make worthwhile investment in septic tank installation. Spanaway residents who come to us for septic tank installation, whether in newly-built or existing properties, can be sure of getting a tank that is large enough to keep up with their daily water usage and appropriate for the type of soil in their yard. Contact us for a free estimate of septic tank installation cost. Though built for long-term use, septic systems cannot last forever. You need to call in professionals to replace the septic system in your Spanaway property. We would be happy to be the experts you call for the job. As an ethical and professional septic company, we will never recommend you replace a septic system if repairs are feasible. We can also replace septic system pump and other components. Need a new septic system installed or want to replace a septic system in your Spanaway property? Call VAC-TEC LLC. Dial (253) 777-4887.